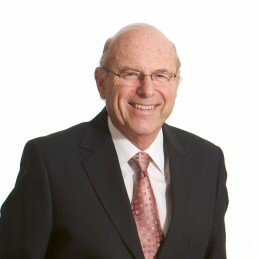 Robert Gottliebsen has spent more than 30 years writing and commentating about business and investment in Australia. He has won the Walkley award and Australian Journalist of the Year Award, two of journalism’s highest honours. In 1974 Robert started the Chanticleer column in the Australian Financial Review, which is still running more than a quarter of a century later. In 1980 he handed the Chanticleer column onto a number of successors; journalists that he had helped train. In 1981 Gottliebsen founded BRW magazine and helped build the weekly business magazine readership to the highest in the world on a per capita basis. In 1983 he started the top selling Personal Investor Magazine and in 1998 Shares Magazine. In 1999 he became host of the Business Daily TV show on Sky News. In 2000 he moved his Business Daily TV studio to “The Australian” Newspaper where he was appointed National Business Commentator. Until 2006 Gottliebsen had a unique role in Australian journalism, communicating business ideas and comments through, “The Australian”, TV shows, the Internet and regular radio broadcasts. With strong financial backing, in November 2007 Alan Kohler, Stephen Bartholomeusz and Gottliebsen left their print jobs and set out to establish one of the best free business and investment web sites in world: businessspectator.com.au. The site covers around 700 business stories each day, has daily emails and stock monitoring plus an aggregation of the world’s best commentary along with the commentary of the KGB (Kohler, Gottliebsen and Bartholomeusz). The response from the Australian community has been amazing and exceeded all expectations. Around 350,000 people come to the site each month and access more than six million pages. The associated enterprise, the Eureka Report, has doubled its subscriber base in 18 months. Robert, as a highly respected commentator, has completed hundreds of presentations to clients including: Microsoft, Freemarkets, Infosys, MDMC, ADMA, Telstra, McCullough Lawyers, Institute of Engineers, Amcor, Local Government, CPA’s, State Government, Geopolymers, Institute of Directors Australia, Institute of Directors NZ, Federal Government and many more.